When your historic Tybee Island property is in need of roofing services such as repair or replacement residents of Tybee Island call us, general contractor American Craftsman Renovations. We are a locally owned general contracting firm providing services on Tybee Island that also provides roofing services. Schedule your roof repair or replacement in Tybee Island with us. No roofing project is too big or too small! 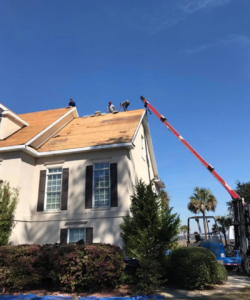 We work with all types of roofs and because our roofers have many years of experience in the Greater Savannah area, we can provide you with the best roofing services around. Don’t put off repairing or replacing your aged roof, call today for a roofing consultation with us.